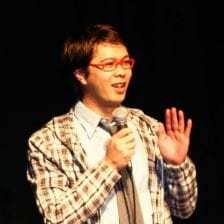 Vong Show - Page 2 of 3 - Official spokesperson for gay, super-cute Asians. Sharing the Gaysian perspective on sports, love and trending topics. Founder of Comedy Cares. 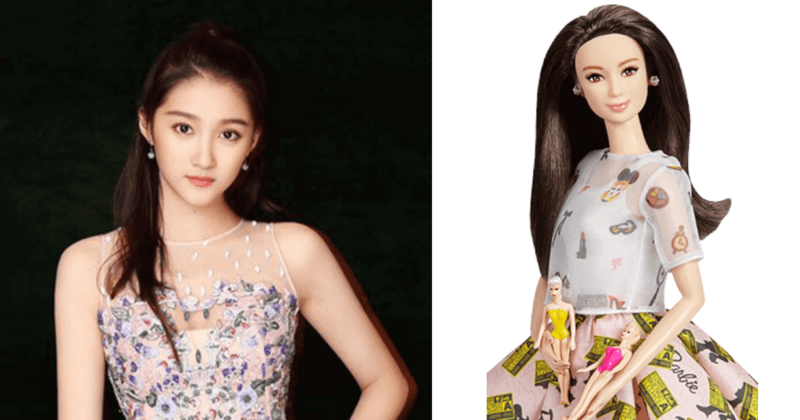 Super happy that four Asian women were included as part of Mattel’s new line of Inspiring Women Barbie dolls. More than half of the 19 dolls total were women of colour (12 total). Volleyball champion Hui Ruoqi is personally one of my heroes for her performance in Rio 2016 leading the very young Chinese women’s volleyball team to Gold when they weren’t expected to even medal. I also totally understand the controversy over the Frida Kahlo doll not representing her likeness properly and without consent from her family. I also get that a lot of these dolls are too slim too represent realistic figures. These are huge, important issues that I hope cause enough of an online uproar to get Mattel to do better in the future. Despite those issues, it still makes me incredibly happy to see Asian heroes being represented in media, and I hope this is a step in the right direction. Hopefully the next generation of Asians growing up in North America can see more heroes who look like themselves. I also like that their Asian features show through such as bone structure, eyes, nose etc. and the dolls aren’t just carbon copies of the traditional white Barbies. Hui Ruoqi is definitely the doll I want the most. The way she played in Rio will inspire future volleyball players for generations to come. The doll does a good job of capturing her facial structure, though the jersey itself doesn’t look too realistic likely due to licensing issues. Like most of these dolls, the arms are far too thin along with the overall figure. 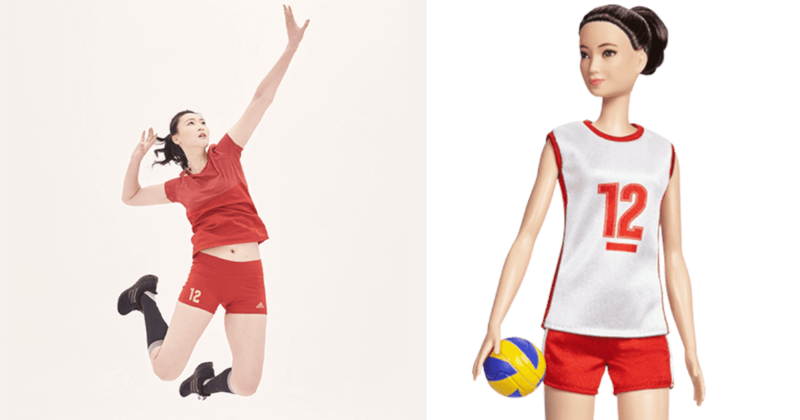 It’s especially bad here since Hui Ruoqi is an athlete but her doll doesn’t show much of an athletic body type at all. Yuan Yuan Tan is Principal Dancer at San Francisco Ballet and Guest Principal Dancer at Hong Kong Ballet. The doll does its best but her facial features are definitely softer in real life while more exaggerated in doll form. Those arms, though, are distractingly thing. 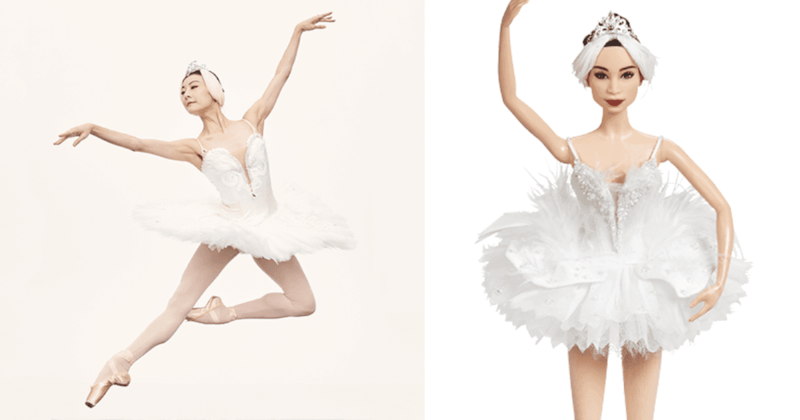 Ballerinas are already so thin, wonder why Mattel felt the need to make her arms even thinner in the doll. 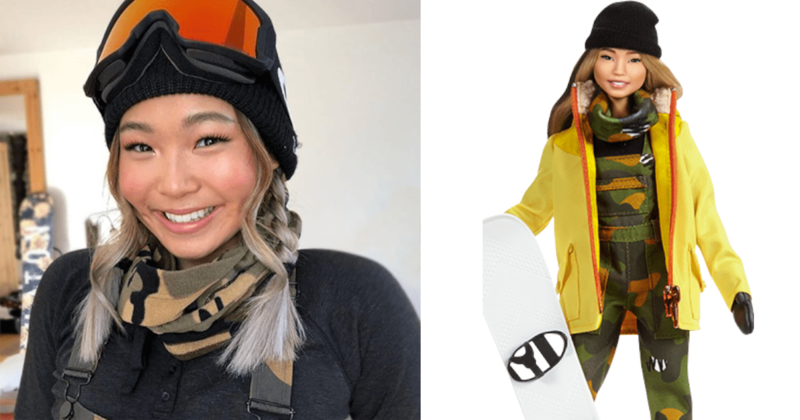 Chloe Kim won hearts and minds of Americans with her performance and personality during the 2018 Winter Olympics in Pyeongchang, South Korea. Not a bad likeness at all for her doll. It’s great that they have her covered head to toe which is representative of someone participating in a winter sport. Glad to see a Chinese actress being represented here, as Chinese cinema is a huge business across all of Asia. Until North America does a better job of representing Asian characters and not just whitewashing them by having Scarlett Johansson insultingly play a Japanese woman (trapped in the body of an ethnically white Android?!?) this will have to do. The doll itself doesn’t really look much like her unfortunately. Definitely the most white-looking doll of the bunch. 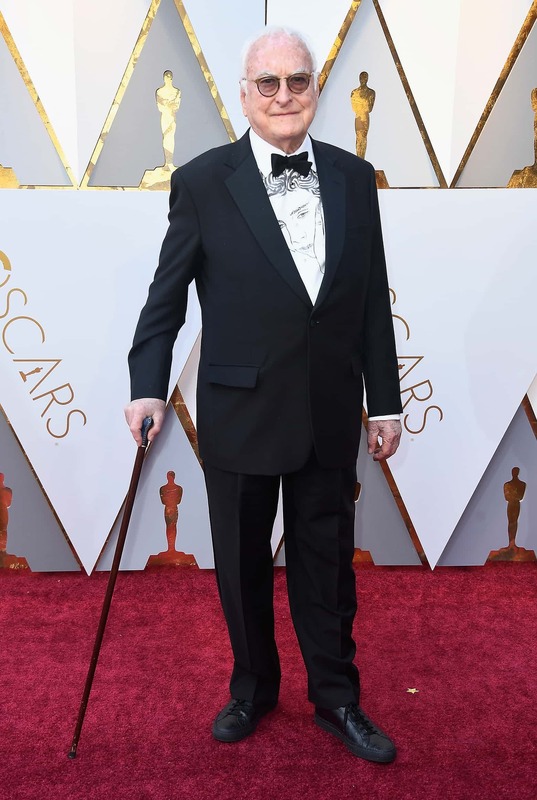 Welcome to my first-ever red carpet coverage from the Oscars 2018 90th Academy Awards. Lots to dissect below and hopefully my typing speed can keep up. I won’t be posting all dresses and suits, just the memorable ones (both good and bad). Oh Viola Viola. What were you thinking? This pink number and blown-out hair looks like a bad ’80s prom nightmare. 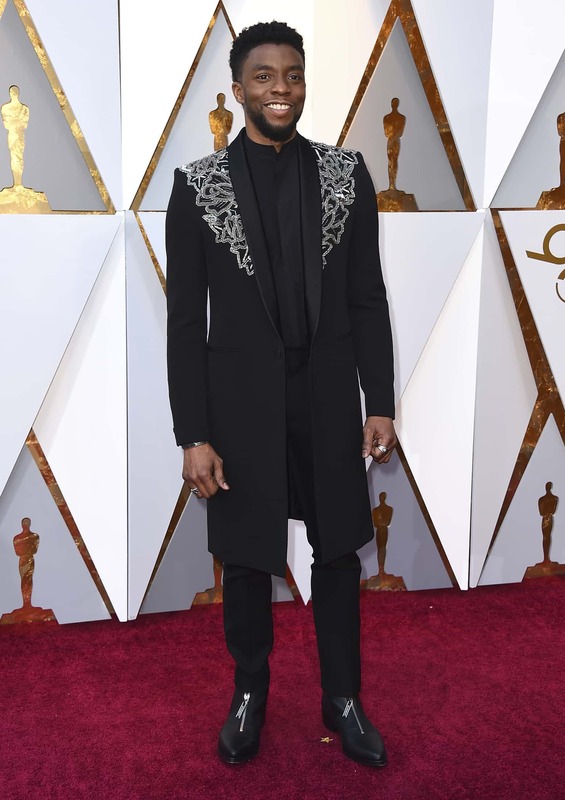 Fire your stylist immediately! Not a good look. Just not a good look. The giant bow in front makes Nicole look even thinner than she already is. Nice earrings, though. Not sure about that hair colour. Love the gold detail in Lupita’s hair. Overall a nice, regal dress doesn’t quite stand out as either best or worst. Ooh, love love love. It’s hard for Gal Gadot not to look stunning but this dress is shiny and fabulous in all the right ways. Reminds me of an elevated flapper dress. Love the necklace being accentuated with the simple hairdo. Love the ice princess theme with the white dress and frosted trimmings and crystal clutch. Especially love the bottom of the dress. Not sure this dress gives Margot much shape, though. Also don’t love the hair, doesn’t seem like it’s been elevated enough for such a huge event. Man of the moment, Chadwick Boseman, can do no wrong. Showing all the men how it’s done. No tie needed! Great shoulder print, long jacket and fabulous zip-up shoes. 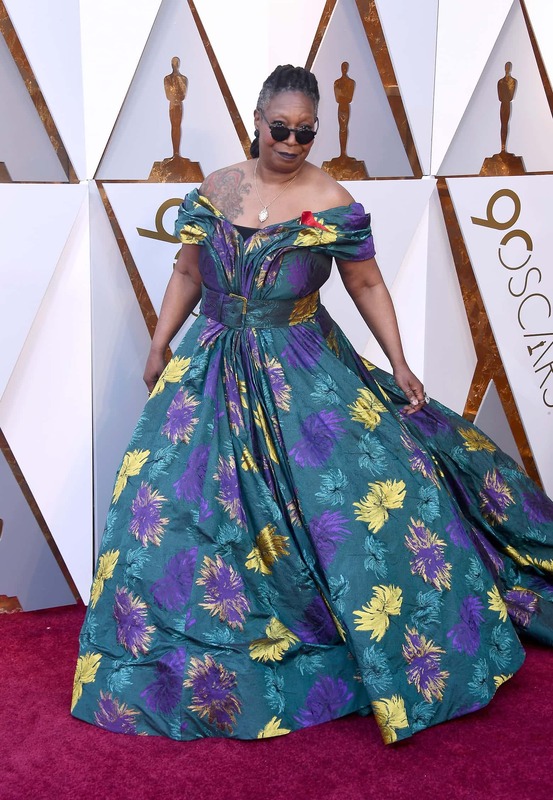 I love Whoopi and I love Christian Siriano, but somehow the combination of Whoopi in a Siriano dress does not work at all. On the bright side, I do like her hairstyle being pulled back and different from what we’ve seen in the past. The dress fabric, though, is all kinds of boring; kinda like cheap curtains or bedspread gone wrong. And why on Earth is she wearing sunglasses? Okay folks, we have a winner! Taraji P. Henson absolutely stunning in a black dress. Damn she looks good; completely steals the show and the red carpet. I’ll be thinking of this dress for days. Love the boldness. I didn’t know who St Vincent was before tonight, but now I know her name and won’t forget her. This dress will end up on multiple best dressed and worst dressed lists. It’s one of those statement dresses that might take a few weeks or months for people to actually decide who they feel about it. I actually like most of it except the bottom of the dress. Not sure it needed that extra flourish. Laura Dern’s been having a great year, especially loved her in Star Wars: The Last Jedi. I kinda get what she was trying to accomplish with this dress. The symmetry with her hair parted balanced by the strong right shoulder. Still don’t love it though. Material comes off super plain, especially down the front middle. Such a gorgeous woman. Not sure about this dress, though. Reminds me a bit of Bollywood but without the flair. The wet hair look doesn’t help matters. I love Jane Fonda; actually just binge-watched the new season of Grace & Frankie last weekend. This dress and styling, though, manage to make Jane look like a Disney villain. The exaggerated shoulder and harsh angles aren’t doing her any favours unfortunately. Nice implementation of the Time’s Up pin. 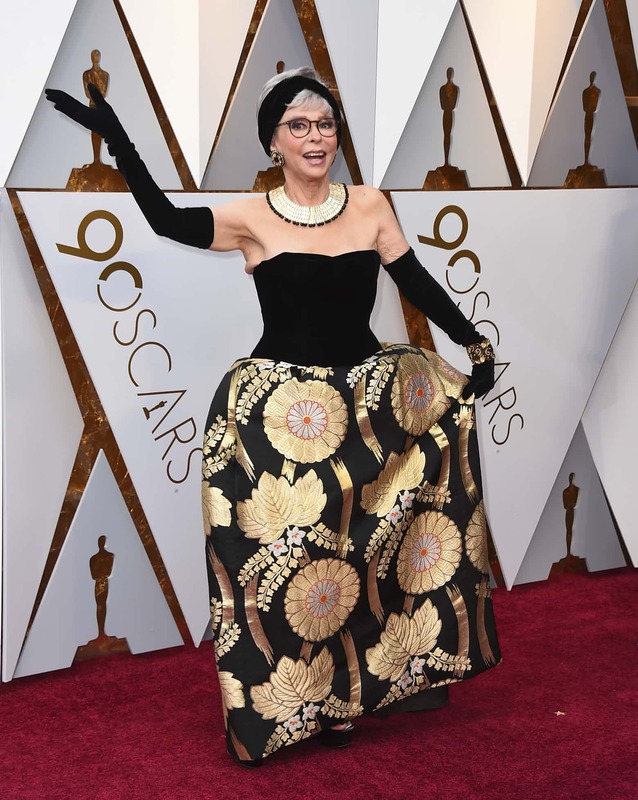 Looking fabulous wearing the same dress she wore in 1962 when she won an Oscar for West Side Story. Being able to wear the same dress and still look fabulous 56 years later is just absolutely remarkable. Oldest person nominated but still showing some flair with a lovely print on his shirt. Alert to other male stars, please give some effort to stand out. It’s not that hard. Gorgeous long dresses. Love Ashley’s gorgeous colour and simplicity punctuated with beautiful necklace and earrings. Mira’s hair and dress kinda go together but doesn’t come off overly memorable. Looks like the two will be representing the #TimesUp movement, so it’ll be interesting to see what they have to say during the broadcast. Girlfriend went bold, which I totally understand. Not sure it’s a dress I would’ve chosen, though. The full-length draped sleeves reminds me too much of the Adams Family and kinda dates her look. Great jewelry though and the clutch purse is a nice accessory. Hairstyle is nice touch to show off that gorgeous necklace. 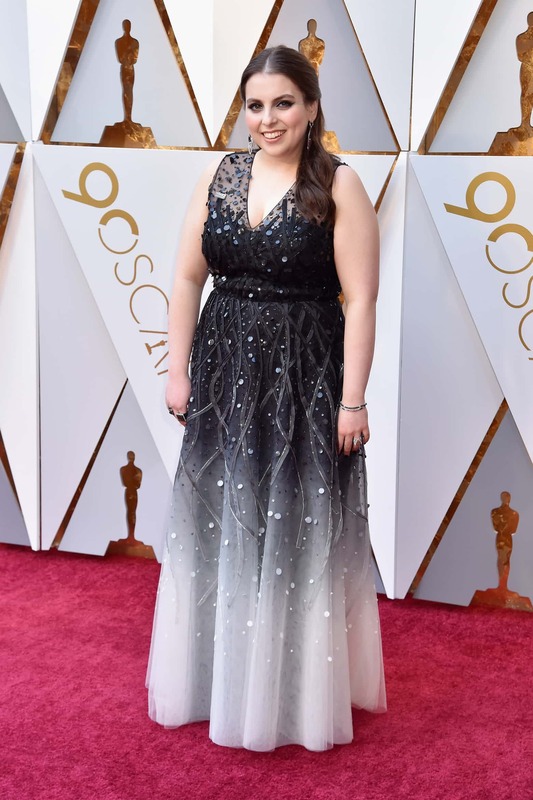 Beanie Feldstein from Lady Bird looking absolutely gorgeous. Love the detail in the dress and the gradient flowing to the bottom of the full length. Nice understated accessories including earrings, bracelet and rings. 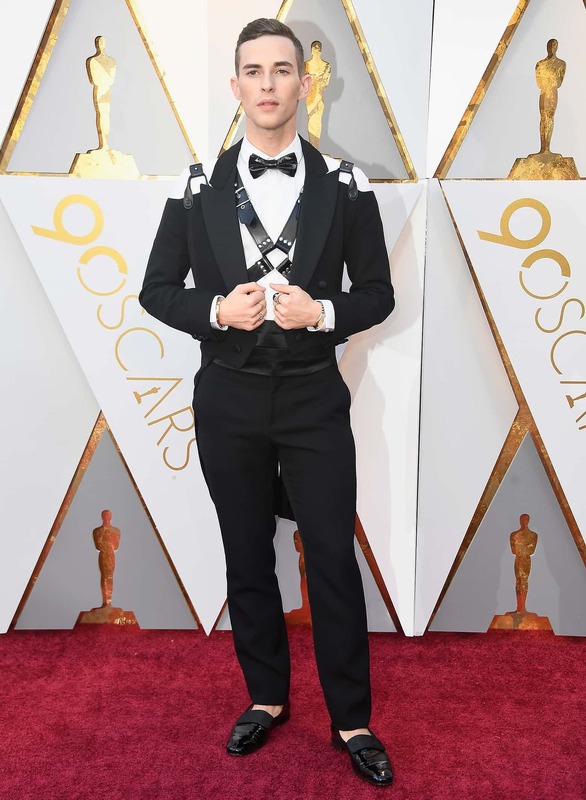 Damn Adam Rippon is killing it in this Jeremy Scott tuxedo. Men are usually dressed so boring at these events so I definitely appreciate Adam’s attempt to mix things up. Love how his chest harness is a great (intentional?) call-out to the LGBTQ community.